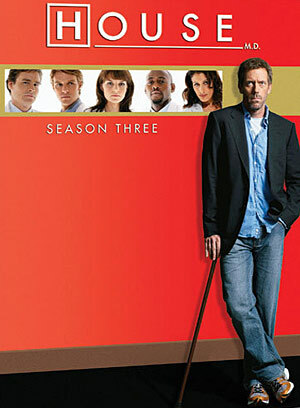 Fourth Season Episodes :: Season Four :: Season Four of "House"
Five actors have been cast in Season Four of the Emmy Award-winning series HOUSE, which premieres Tuesday, Sept. 25 (9:00-10:00 PM ET/PT) on FOX. Olivia Wilde ("The Black Donnellys," "The O.C. "), Kal Penn (24, "The Namesake," "Harold & Kumar Go To White Castle"), Peter Jacobson ("The Starter Wife," "Law & Order"), Anne Dudek ("Big Day") and Edi Gathegi ("Lincoln Heights," "Gone Baby Gone") play candidates for a fellowship opportunity with Dr. House. The actors have been cast for an undetermined number of episodes. During the recently completed 2006-07 season, HOUSE ranked as the No. 1 scripted series in Adults 18-49 and the overall No. 3 show in Adults 18-49 (behind only the Tuesday and Wednesday airings of AMERICAN IDOL). HOUSE ranks as FOX's No. 1 scripted program across the majority of key demos, including Adults 18-49, Adults 18-34 and Teens; ranks No. 1 in its Tuesday 9:00 PM time period among all key demos; and is the only scripted series to rank among primetime's Top 5 programs across Adults 18-49, Adults 18-34 and Teens. Emmy Award-winning HOUSE is from Heel and Toe Films, Shore Z Productions and Bad Hat Harry Productions in association with Universal Media Studios. Katie Jacobs, David Shore, Paul Attanasio, Bryan Singer, Russel Friend, Garrett Lerner and Thomas L. Moran are executive producers.